It was a relaxing morning at the Hostel…slept til 6:30 🙂 Around 8:45 I met up with my friend Katy’s Mom…Linda Beek who is a devoted follower of this blog. Linda lives in Buena Vista which is about 30mi from Salida and offered to drive down to meet up for breakfast, and was then kind enough to drive me back up to the trail at Monarch Pass. Linda is now officially christened a Trip Angel ! (Plus she brought a bag full of yummy homemade Monster cookies). He we are with the dogs loading up the car. 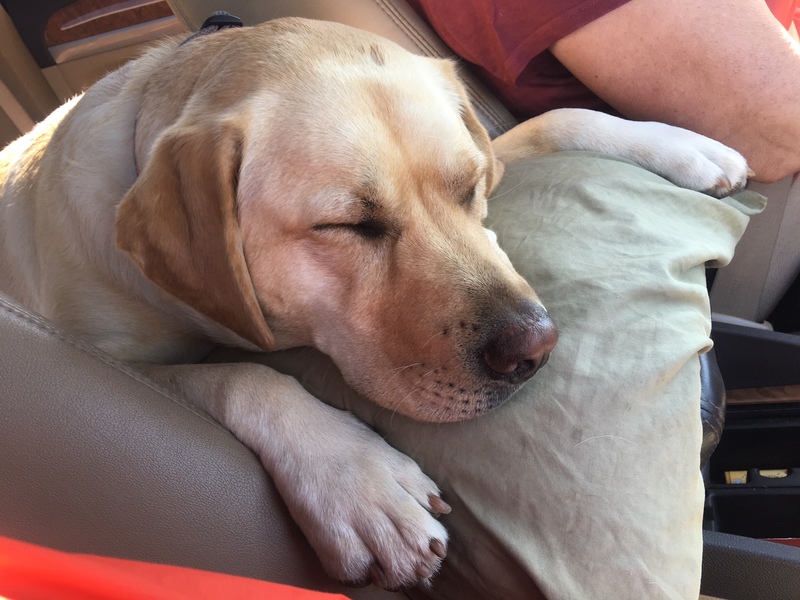 Katy and Todd’s very tired dog, Lucy. 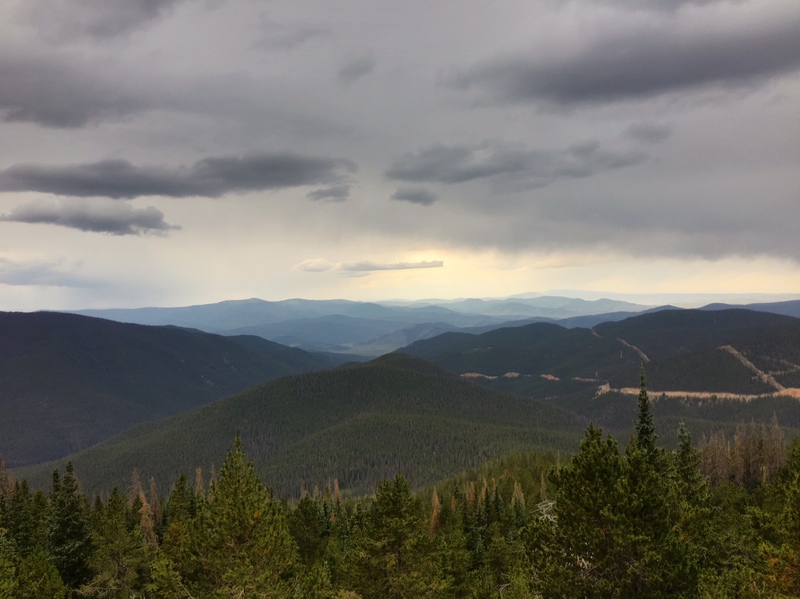 There were some storm clouds brewing above Monarch Pass….mostly just some wind and spit above treeline. 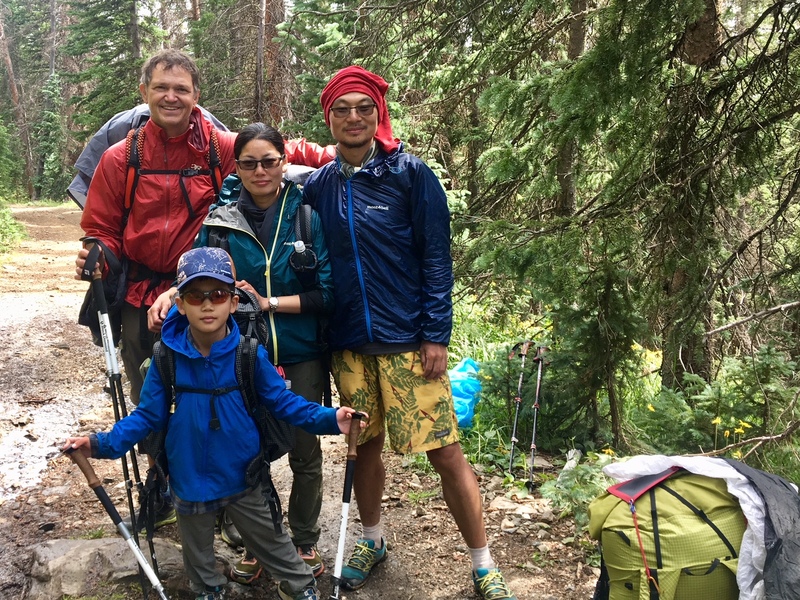 This is a family from China with their 7yr old hiking the whole trail. 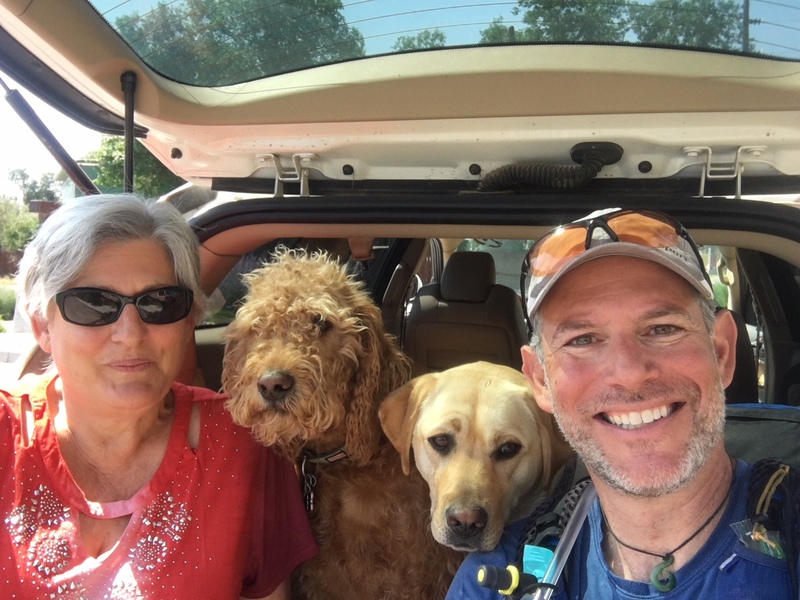 In the back left is Albert from Waco, TX…we picked him up hitchhiking back to the trail on our way out of Salida. 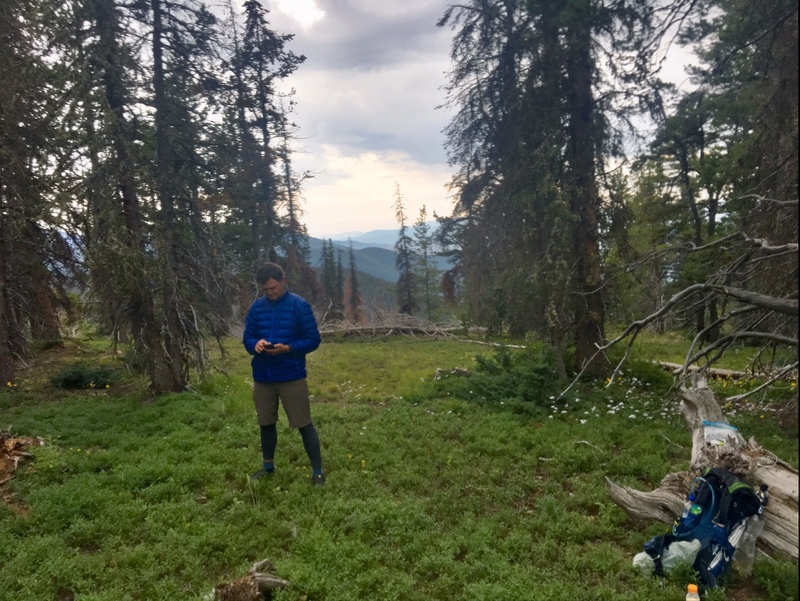 Here’s Albert trying to get cell service in camp. A beautiful camp spot in the pines with a wildflower front yard. We decided to setup camp a bit earlier (6pm) since there were not a lot of camping options and I had heard some thunderstorms might roll in around 7pm. Sure enough, at 7:30 clouds darkened and the thunder was rolling. 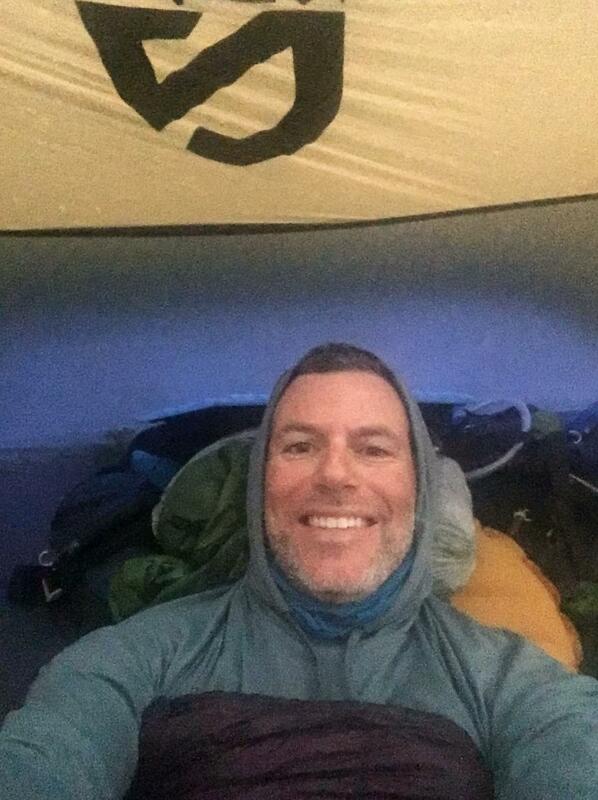 By 8:00 the rain came and I was dry, warm and cozy inside my tent. 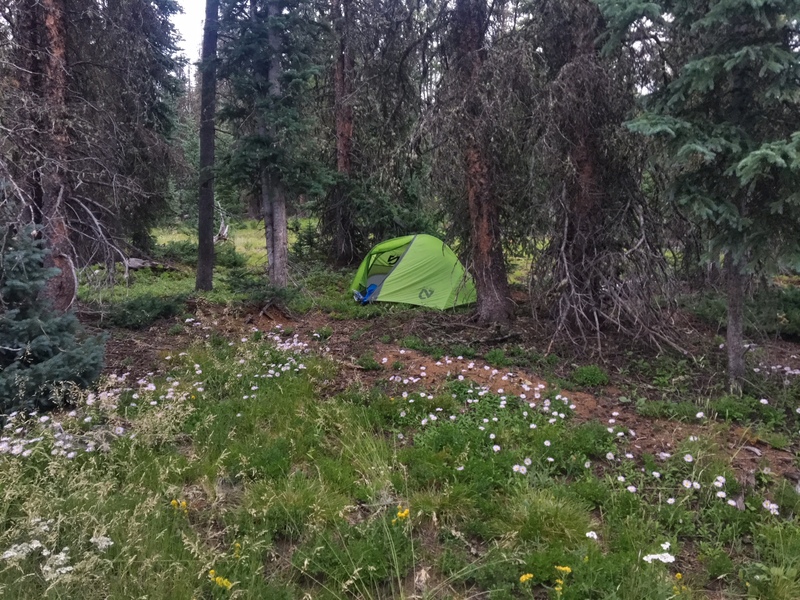 This entry was posted in 2018 Colorado Trail, Uncategorized. Bookmark the permalink. That Linda Beek gal.. she’s handy as a pocket on a shirt! Great gal! Always willing to lend a hand! Got some more dog pics coming.